The due process hearing in this matter is based upon Student’s due process complaint, which he filed on December 20, 2011. The hearing convened on February 14, 2012, at the offices of the Oceanside Unified School District in Oceanside, California, before Administrative Law Judge (ALJ) Darrell L. Lepkowsky from the Office of Administrative Hearings (OAH), State of California. Eric B. Freedus, Esq., represented Student and his parents. Student’s mother was present during the hearing. Student did not attend the hearing. Jonathan P. Read, Esq., accompanied by law clerk Kristin Johnson, represented the Oceanside Unified School District (District). Randi Gibson, the District’s Special Education Director, and Diana-Marie Casato, the District’s Coordinator for Special Education, were both present during the hearing. Student called his mother as his only witness. The District called Ms. Casato and the District’s Director of Transportation, Glen Perry, as witnesses. At the close of the hearing on February 14, 2012, the District requested that the case be continued to allow it to file a written closing brief in lieu of an oral closing argument. Student objected, wishing to present an oral closing argument and to maintain the original timeline for decision in this matter. The ALJ granted the District’s request for written closing argument. However, in light of Student’s objection and since Student is the petitioning party in this matter, the ALJ determined that she would not continue the matter in order to receive the briefs. The record remained open until February 21, 2012, when it was submitted after the parties timely filed their written closing briefs. Does the District’s manner of providing transportation to Student pursuant to the October 17, 2011 settlement agreement between the parties deny Student a free appropriate public education? Student contends that the District has violated the terms of a settlement agreement reached between the parties on October 17, 2011, at a resolution session in a previous due process proceeding. Student contends that the transportation the District agreed to provide has resulted in a bus trip for Student that takes over an hour and a half in the morning and two hours in the afternoon, and that Student also has to wait an additional 40 minutes for class to begin in the morning after the bus delivers him to school. He contends that the cumulative transport and waiting time is patently unreasonable. Student contends that the District is denying him a free appropriate public education (FAPE) because the length of the Student’s school day results in undue fatigue for him. He requests that the District be ordered to provide some other method of transportation that would shorten his commute time, and that the District compensate Student’s mother for the cost of her providing him with transportation for those days on which she has driven Student to school rather than putting him on the bus. The District contends that Student has failed to demonstrate that he has been denied a FAPE due to the length of his commute. It also asserts that the settlement agreement between the parties bars Student from obtaining any relief in this case and that Student is not, in any case, entitled to a FAPE because he is a parentally placed private school child pursuant to the language of the settlement agreement. Based upon the following factual findings and legal conclusions, this Decision finds that Student has failed to demonstrate by a preponderance of the evidence that the length of time he spends on the bus commuting to and from his private school placement has denied him a FAPE. 1. Student is a 12-year-old boy who is eligible for special education and related services under the primary eligibility category of autism. He lives with his parents on a military base in the northern part of the city of Oceanside, within the District’s boundaries. Student’s eligibility as a special needs child is not at issue in this case. 2. 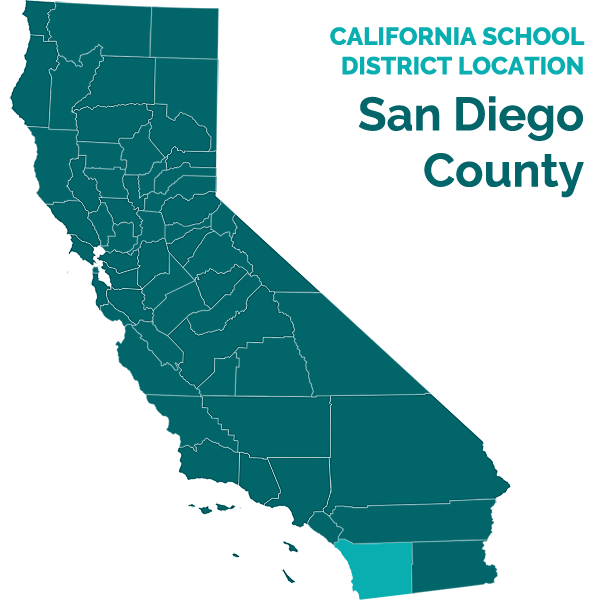 At the beginning of the 2011-2012 school year, Student’s parents informed the District that they were privately placing him at the Winston Academy (Winston), a nonpublic school located in the city of Del Mar, approximately 25 miles south of Student’s home and outside the District’s boundaries. 3. On or about October 3, 2011, after his parents had placed him at Winston, Student filed a due process hearing request in OAH Case No. 2011100099, alleging violations of his right to a FAPE during the 2010-2011 and 2011-2012 school years. Among his proposed remedies, Student requested reimbursement to his parents for their costs to date of his placement at Winston, including their cost to transport Student to school. Student also requested prospective placement at Winston along with District-provided transportation to the school. 4. The parties met in a resolution session on October 17, 2011, in order to try to resolve the issues raised by Student in Case No. 2011100099. Student and the District were represented by legal counsel. The parties reached a Final Settlement and Release Agreement (Agreement) during this resolution session. The Agreement was drafted by counsel for the District. 5. The Agreement states that its purpose is to avoid the time and expense of litigating the issues raised by Student in Case No. 2011100099. In the Agreement, the District agreed, inter alia, to fund Student’s tuition at Winston for the 2011-2012 school year, including tuition, one session a week of group speech and language therapy, and one session a week of individual occupational therapy. 6. The District also agreed to provide transportation to and from Winston for every day that Student attended school. The type of transportation is not described or defined in the Agreement. There is no mention of how long the trip to and from school would take for Student. 7. In exchange for the District’s agreements, Student, inter alia, agreed to relinquish his past, present, and future known and unknown claims against the District through the date of the execution of the Agreement and through the 2011-2012 regular school year. 8. Student also agreed that for the 2011-2012 school year, he would be considered a private school child with a disability as described in title 34, Code of Federal Regulations, part 300.130. Student acknowledged that as a privately placed student, he had no individual entitlement to special education and related services for the 2011-2012 school year. 9. Additionally, Student waived the application of Civil Code, section 1542 as to all claims. He also agreed to dismiss Case No. 2011100099. 10. The District began providing Student with transportation soon after the parties executed the settlement agreement. As discussed below, Student is on the bus for over an hour and a half in the morning and for almost two hours in the afternoon. Student’s parents did not realize how long the bus ride would be. Because they felt that the time it takes to transport Student to and from school is unreasonable and therefore denies him a FAPE, Student’s parents initially filed a compliance complaint with the California Department of Education. Finding that it had no jurisdiction to resolve FAPE issues, the California Department of Education rejected the compliance complaint and referred the issue to due process. Parents thereafter filed the instant case on behalf of Student on December 20, 2011, alleging that the District is denying Student a FAPE because the length of time of the bus trips is too long. 11. On January 10, 2012, the District filed a motion to dismiss Student’s complaint in the instant case. OAH denied the District’s motion on January 19, 2012, finding that Student’s complaint does not allege that the District has breached the Agreement and that he therefore is seeking an order from OAH enforcing the settlement’s terms. Rather, OAH found that Student’s complaint alleges a denial of FAPE as a result of a violation of the Agreement between the parties. Therefore, OAH found that it had jurisdiction over the issue raised in Student’s complaint. OAH did find, however, that the District could raise the scope of the settlement agreement as a defense to Student’s complaint. The matter then proceeded to hearing. 12. The District provides transportation for Student to Winston on one of its yellow school buses. Student is one of three District pupils for whom the District provides bus transportation to Winston, although one of the other pupils only avails himself of the transportation in the afternoon. The bus also transports two or three other pupils to a high school in Del Mar that is approximately 10 minutes away from Winston. 13. Student is the first pupil picked up in the morning and the last child dropped off in the afternoon because of his home’s location in the northern part of Oceanside. Student is picked up between 6:10 a.m. and 6:15 a.m. every morning. The bus then follows a route picking up the other pupils who attend Winston and the pupils who attend the high school. Classes at the high school begin at 8:00 a.m. The bus goes there first, arriving at about 7:45 a.m. The bus arrives at Winston about 10 minutes later, just before 8:00 a.m. Student’s teacher does not open her classroom until 8:00 a.m. Student has to wait outside for a few minutes before being permitted into the classroom. School does not begin until 8:25 a.m.
14. Student is therefore on the school bus in the morning for over an hour and a half. He then has to wait over another half hour before class begins. Student did not present any evidence that he has physical, emotional, or behavioral deficits or needs that prevent him from waiting a few minutes for his teacher to open his classroom. 15. Classes at Winston end at 2:30 p.m. Student is picked up from school at that time. The bus then picks up the high school pupils in Del Mar before making its rounds delivering the pupils to their homes. Student, as the last pupil dropped off, arrives at home at about 4:30 p.m. His afternoon bus ride is therefore two hours long. 17. Because of the length of the bus rides, Student’s mother has taken him to school and/or picked him up a number of times since the Agreement took effect. When she drives Student in the morning, the trip takes about 40 to 45 minutes. When she picks Student up from school, the trip home is even shorter, perhaps around 30 minutes, because it is before the afternoon rush hour starts. 16. Most afternoons, Student attends in-home applied behavioral analysis (ABA) therapy sessions that last two hours, starting at 4:30 p.m. The 4:30 p.m. start time is the latest time at which the ABA provider will begin the sessions. The therapy is not provided to Student as part of an individualized educational program. It is not provided by the terms of the Agreement between the parties. There is no evidence that the ABA sessions are provided by a Regional Center to address Student’s autism. Rather, Student’s mother explained that she is funding the ABA sessions herself because she believes, as the mother of three autistic children, that the sessions are necessary for Student’s progress. The sessions are therefore akin to other types of afterschool enrichment courses provided to students by their parents in an effort to maximize their strengths and address their weaknesses. Student provided no evidence that he requires the ABA sessions in order to access his education or to receive a FAPE. 17. Student’s mother, who was his only witness at hearing, testified that Student is fatigued by the length of his bus trips. She stated that the ABA therapists have told her that Student does not participate as fully in his sessions when he takes the bus home as compared when Mother is able to pick him up. Mother does not provide the therapy and none of Student’s ABA therapists testified at hearing. 18. Student’s mother also testified that Student’s teacher has informed her that Student is often fatigued at school because of the long bus trip in the morning. Student’s mother further stated that Student’s grades have fallen since he began taking the school bus to Winston. However, neither Student’s teacher nor any other Winston staff members testified at hearing and Student did not offer his grades into evidence. Student’s mother is not an educator. She provided no evidence, other than her personal opinion, of a nexus between the bus ride and Student’s grades. 19. . When asked what Student does on the bus, Student’s mother acknowledged that he sometimes sleeps and often plays games on his portable video game player. In response to a question regarding what Student does at home before starting his ABA therapy at 4:30 p.m. when she picks him up from school, Student’s mother acknowledged that Student sometimes plays video games, sometimes rests, sometimes watches television, or has a snack. In other words, there is not much difference from what Student can do on the bus and what he does when he has time at home before his ABA therapy. 20. Student provided no evidence that he has any special, physical, or mental health needs that would impact his ability to tolerate a long commute. He provided no evidence that he has behavioral issues that arise because of the commute or any toileting issues that cannot be addressed on his commute. Student provided no evidence that the other pupils on the bus have issues that somehow impact Student, thereby preventing him from accessing his education. 21. Student provided no evidence that the length of his commute to and from school prevents him from accessing his education or prevents him from making progress at school. He has therefore failed to prove by a preponderance of the evidence, that the District’s method of providing transportation to him has denied him a FAPE. 1. In a special education administrative due process proceeding, the party seeking relief has the burden of proving the essential elements of his claim. (Schaffer v. Weast (2005) 546 U.S. 49 [126 S.Ct. 528, 163 L.Ed.2d 387].) In this matter, Student has the burden of proof. 3. Student’s complaint specifically does not allege non-compliance with or breach of the Agreement with the District. Rather, he alleges that the District’s means of transporting him to school, pursuant to the Agreement, denies him a FAPE. Where a student alleges that a school district denied him a FAPE because of a failure to comply with or implement a settlement agreement, courts have found that OAH should take jurisdiction in order to resolve the FAPE allegations (see, e.g., Pedraza v. Alameda Unified Sch. Dist. (N.D. Cal. Mar. 27, 2007) 2007 WL 949603*5 [47 IDELR 302].) Therefore, as stated in the Order dated January 19, 2012, OAH has jurisdiction to determine whether the District’s method of providing transportation under the settlement agreement denied Student a FAPE. 6. Generally, the Individualized Education Program (IEP) team makes the decision about whether a disabled child requires transportation as a related service. (Ed. Code, § 56342, subd. (a); 71 Fed.Reg. 46576 (Aug. 14, 2006).) The decision is based upon the unique needs of the disabled child. (McNair v. Oak Hills Local School District (8th Cir. 1989) 872 F.2d 153, 156.) In this case, the parties agreed that transportation would be provided to Student as part of their settlement agreement. 9. The Ninth Circuit reaffirmed the validity of the Rowley standard in analyzing FAPE in the context of the 1997 version of the IDEA. In J.L. v. Mercer Island School District (9th Cir. 2010) 592 F.3d 938 (hereafter Mercer Island), the Ninth Circuit overturned the district court’s finding that Rowley’s educational benefit standard had been superseded by Congress when it revised the IDEA in 1997. The court found that for all intents and purposes, Congress had retained the same definition of a free appropriate public education when it reenacted the IDEA in 1997 and that it had not indicated any disapproval of Rowley. The court further found that Congress did not express any clear intent to change the Rowley FAPE standard. The court thus found that the proper standard to determine whether a disabled child has received a FAPE is the “educational benefit” standard set forth by the Supreme Court in Rowley.(Id. at pp. 951-953.) A review of the 2004 reauthorization of the IDEA does not indicate any substantive changes in the definition of FAPE or anything in the legislative history that would support a finding that Congress intended to change or modify the educational benefit standard enunciated in Rowley when it reauthorized the IDEA in 2004. The Ninth Circuit’s discussion regarding the lack of congressional intent to modify the Rowley standard is therefore equally applicable to IDEA 2004. 10. Student argues that he has been denied a FAPE because of the length of his commutes to and from school. His primary argument is that he is fatigued at the end of the day which impedes his ability to participate in his after school ABA program. 14. Student also argues that the length of his bus commute is unreasonable on its face. He then argues that since the trip is unreasonable, it ipso facto denies him a FAPE. 15. Student cites to no California statute that defines the maximum amount of permissible travel time on a school bus to and from school. The IDEA does not contain any provision addressing the appropriate length of bus rides for special needs students. The lack of statutory guidance is understandable in the context of determining whether a district has denied FAPE to a child: the determination must be made on an individualized analysis of the needs and circumstances of the specific child. What is inappropriate for a child of three may not be inappropriate for a child of 12. What is inappropriate for a child with physical limitations may not be inappropriate for a child with no such limitations. 16. The individualized analysis has been the guiding principal behind the majority of decisions involving the transportation of children with special needs. In Covington Community School Corp. (SEA Ind. 1991) 18 IDELR 180, cited by Student in his closing brief, a bus trip of an hour was considered too long for the student because of her individualized needs, not because it was inappropriate for all students. In Covington, some students lived 75 miles from their school and thus even a 140 minute bus ride was not deemed inappropriate. Student cited a number of cases in his closing brief from the Office of Civil Rights. However, in the cases he cited, as well as in other cases (see, e.g. Santa Rosa County School Dist. (OCR 1991) 18 IDELR 153 (hereafter Santa Rosa); Palm Beach County School Dist. (OCR 1998) 31 IDELR 57 (hereafter Palm Beach)) the length of the bus rides were determined to be too long because there was a finding of something extrinsic to the individualized needs of the students on the bus. In Santa Rosa, the District transportation for some special needs students was found inappropriate and discriminatory because the bus schedule caused the special needs students to arrive late to class and forced them to leave early and because general education students had a shorter bus ride. In Palm Beach, the district bus transportation was found to discriminate against special needs students because their ride was one and a half hours long as compared to the half hour bus ride for the general education students. None of these circumstances is apposite to Student’s case. 17. Finally, the case of District of Columbia Public Schools (SEA D.C. 2004) 108 LRP 7451 is instructive as to the focus of the analysis where there is an allegation that a district provided bus ride impedes the provision of FAPE to a student. There, a student with a primary eligibility of visually impaired was placed through his IEP at a specialized nonpublic school. The bus ride to the school took two hours each way. The hearing officer found the bus ride inappropriate because the student, in addition to his visual impairment, was confined to a wheelchair and could not tolerate being in the chair for two hours at a time on the bus. The hearing officer did not find that the bus ride was too long; rather, he found that the placement was inappropriate because it was too far away from home for this particular student due to the student’s physical disability. 19. Student also argues in his closing brief that the ALJ should analyze this case under the statutes governing contract law, interpret the Agreement, and find that it is ambiguous as to the mode and method of transportation. Student then argues that the ambiguity should be interpreted against the District since it was the District that drafted the Agreement. 21. Finally, it bears pointing out that OAH accepted jurisdiction over this matter in its January 19, 2012 Order solely for the purpose of determining if the transportation implemented by the District pursuant to the Agreement denied Student a FAPE. OAH specifically stated that it was not accepting jurisdiction to determine if the District had breached the contract. Therefore, it is inappropriate to analyze and interpret the Agreement with the objective of determining whether the District breached it because it did not provide “reasonable” transportation. 1Since this Decision finds that Student has failed to prove that the District denied him a FAPE, it is unnecessary to address the District’s affirmative defenses. 1. The District’s manner of providing transportation to Student pursuant to the parties’ October 17, 2011 settlement agreement did not deny Student a FAPE. Therefore, Student’s claims for relief are denied. The decision in a special education administrative due process proceeding must indicate the extent to which each party prevailed on the issues heard and decided. (Ed. Code, § 56507, subd. (d).) Here, the District prevailed on sole issue presented for hearing.